Free Shipping Included! 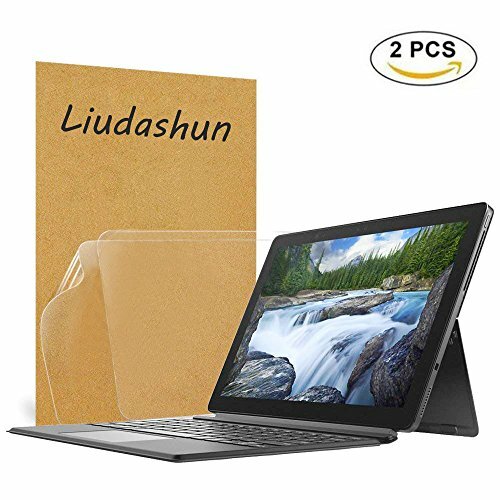 Dell Latitude 5290 Screen Protector,HD Clear LCD Anti-Scratch Anti-Fingerprints Guard Film for 12.3'' Dell Latitude 5290 2-in-1(Touch Version) Laptop 2018 (2-Pack) by Liudashun at Pacs BG. Hurry! Limited time offer. Offer valid only while supplies last. This protective film is specially made,Only suitable for Dell Latitude 5290 2-in-1(Touch Version) 12.3"Laptop(size: 285*198.5), Not compatible with other series or brands Laptop Screen Protector,please confirm your notebook model. For the best effect, we strongly suggest you to install the screen protector in a dust free and quiet environment. Laptop power off,Clean the screen carefully,Ensure no dust.more laptop Screen Protector,please search " Liudashun + your laptop model". If you have any questions about this product by Liudashun, contact us by completing and submitting the form below. If you are looking for a specif part number, please include it with your message.